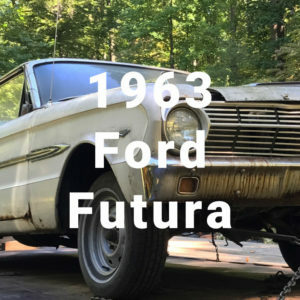 Our organization works with high school-aged students interested in pursuing a career in the automotive industry by arming them with technical knowledge and life skills through involvement in our signature activity: the restoration of a classic vehicle. Through our partnership with New York City high schools students take part in these restoration projects as an after school activity. Students work on the restoration under the guidance of teachers, and with the involvement of mentors from various aspects of the industry. 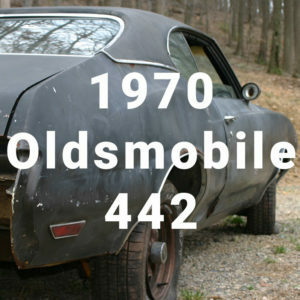 Once the vehicle is restored it is auctioned off, and the proceeds from the sale invested back into the program. Through their participation students are provided with a pathway to high school graduation and aided in their pursuit of a post-secondary education via the award of scholarships gifted through our program. During the time our students spend under the hood they learn valuable technical skills by being involved in every aspect of the vehicle’s restoration. Each build is a chance to learn about specific things like suspension modification, engine performance, and braking while creating the opportunity to relate these activities to concepts in Science, Technology, Engineering and Math (STEM). While our students are learning what it takes to give a classic vehicle new life, they are also getting important life lessons in patience, persistence and problem solving…because no restoration is an easy job! This experience will set them up to be prepared for the many challenges they will face in every aspect of their lives. Our organization also works closely with leading post-secondary schools specializing in automotive technology studies, and through these relationships we help our students pursue their post-secondary education – and their dreams. Our professional network has a role in making these dreams come true, as our relationships with industry partners and local shops open the door for unique career opportunities in the automotive world. 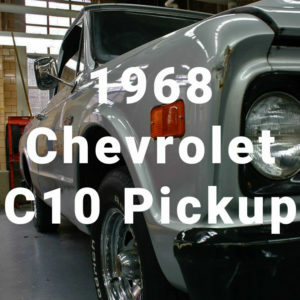 This program is happening right now at Thomas A. Edison High School where we are restoring a 1968 C10 Pickup. We also have two classic vehicles ready to become project cars. Select the photos below to learn more and see our students at work!